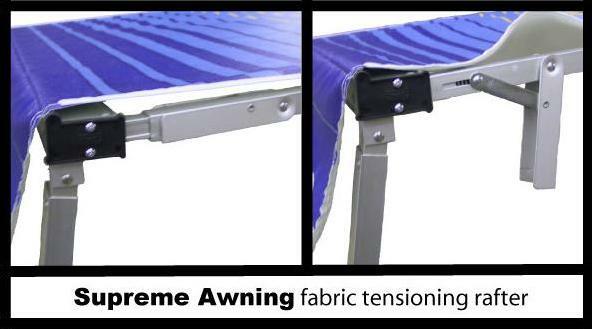 Remember Always Free Awning Rail! 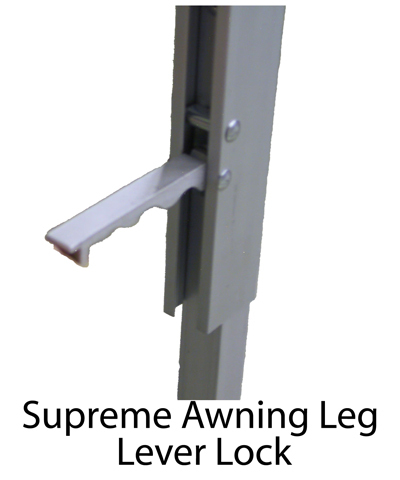 The Brand New "XL Supreme" The "XL Supreme" option incorporates the an Improved Patio bracket and leg extensions. Our New 3 Piece Legs allow the legs to be mounted at the bottom of the camper. 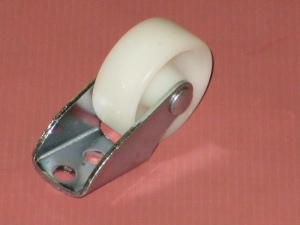 This lower mounting position reduces the stress placed on the legs and bracket. 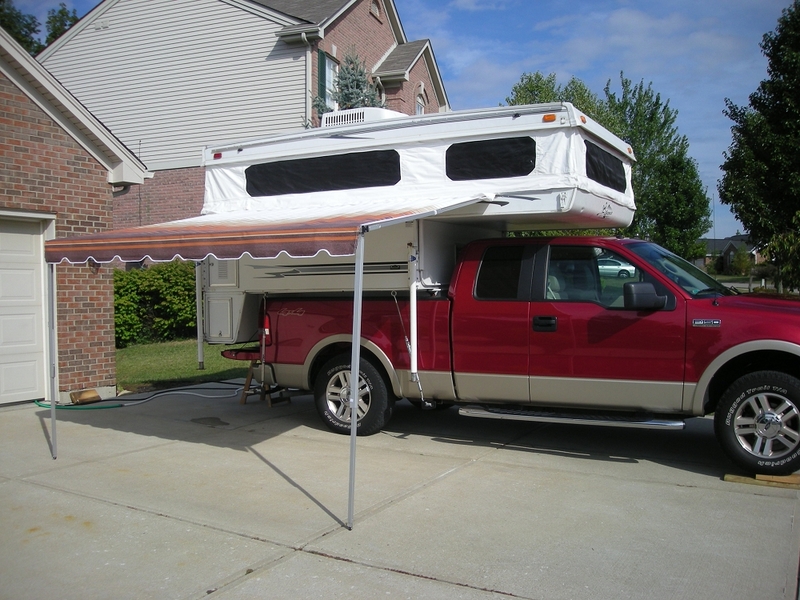 These awnings are made with Finast Quality Heavy Duty 10 OZ. Tri-Laminate Available Vinyl Fabric.